It's a great day to be a Dolphins fan, the Giants win against the Patriots makes going 1-15 seem like a long long time ago. The Giants game plan and execution was right on target. Speaking of Target (transition!) 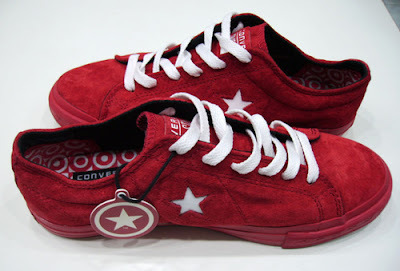 as documented here and multiple websites, Converse has teamed up with Target for the One Star collection. To me the best thing coming out of the partnership is the clothing, now I don't have to drive four hours to find a Converse shirt. I've seen a lot of the clothes and some of the shoes on various other blogs out there. 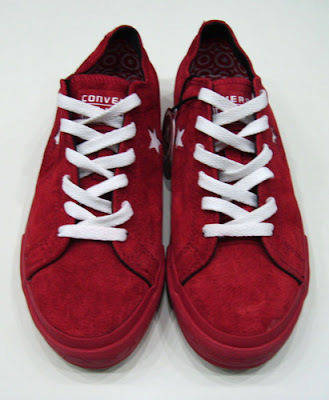 However, none of the shoes were actually One Stars; they were more like hybrids between One Stars and Chucks. Then the other day I found these, where else but on TaoBao. 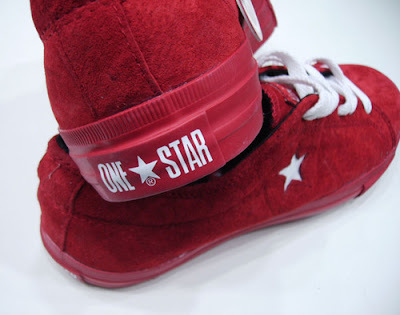 This Red/White suede One Star is a limited edition as you can see in the final picture in the set. 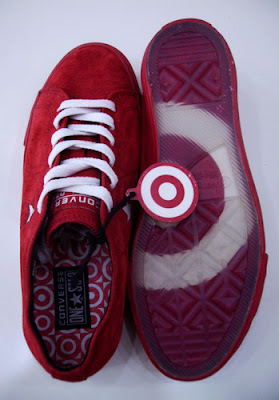 You have the Target logo in the insole and split between the outsoles. I don't know much about these, and I am willing to say that they may not release to every Target. 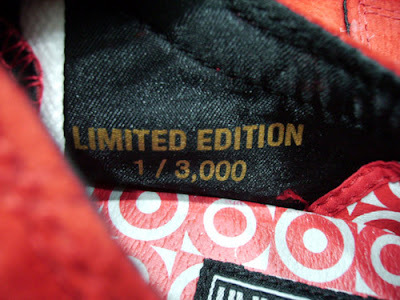 Well, with only making 3,000 pairs I don't see how. To me, the best thing about these is that they're actually One Stars. I mean don't get me wrong, I am all for advancing the One Star brand with new models. However, I was worried that they wouldn't actually have the true One Stars, which would pretty much defeat the purpose. Enjoy the rest of the pics below. Well, that's it for today, if any of you know more about these please let me know. Thanks for checking out the Converse Blog and cheer on Marquette tonight against Louisville.